For people who would like to communicate more effectively in English by improving grammatical knowledge, language skills and confidence - on our General English courses. 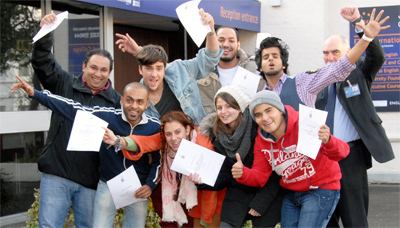 To help people in their exams and assist them to obtain the best possible results - on our Exam Preparation courses. - on our Special Purposes courses. For people who need to develop their language skills - on our English for Executives courses. For junior students on our Junior English courses. Why choose English language courses at ETC International College? Students choose ETC International College (formerly known as ETC School of English) because they discover a friendly, relaxed atmosphere in which to study and caring professionals who are keen to help them make the most of their time in Great Britain. We know that our students’ needs are unique and that their time is precious. At ETC International College, clients can be sure that they will receive helpful and efficient guidance and encouragement. Military English English Plus (other sub..